SundanceTV has something new in store. 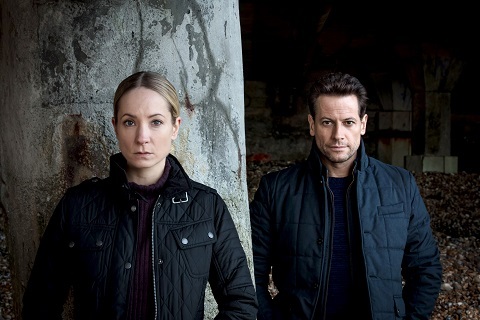 Today, the network released a first look image (see above) of their upcoming TV series Liar. Liar is set to debut this fall on SundanceTV. What do you think? Are you a fan of psychological thrillers? Will you watch Liar? Looking forward to it! So happy to see Ioan Gruffudd back on TV. I love Ioan Gruffud! I’ll watch this for sure. I enjoy seeing Joanne as someone other then a maid on Downton Abby. I saw her in a show where she was a murderer, killed husbands, kids, anybody to collect insurance in the late 1800’s. She was great. So I will look forward to seeing her in this and love Ioan. I’m soooo glad to see he’s back on TV!